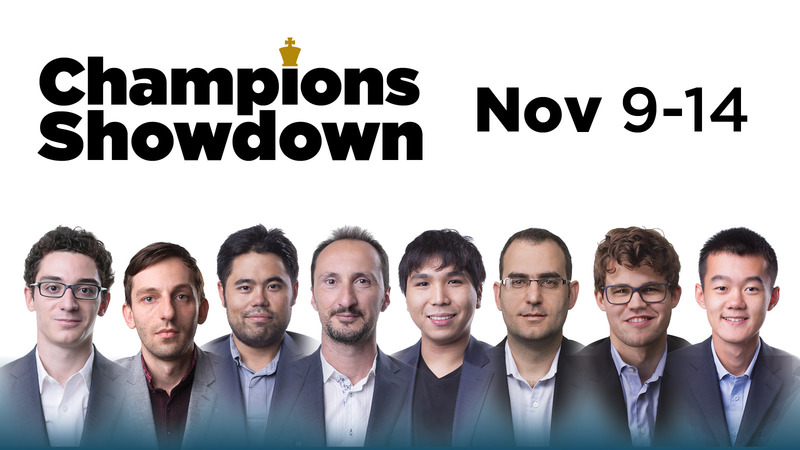 Watch the games of the Champions Showdown 2017 with computer analysis LIVE on ChessBomb. 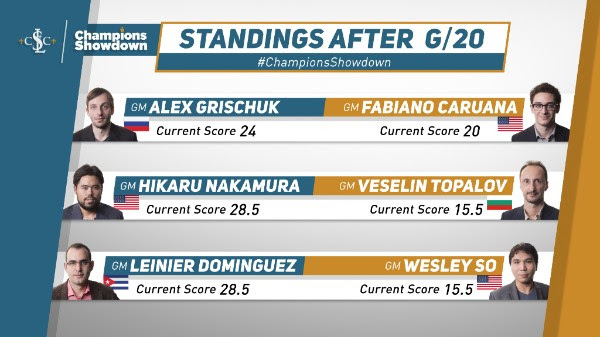 Day two of the Champions Showdown was as dramatic as the first! The players fought hard in the first day and it was impossible to claim that any of them were clearly overpowering their opponent. The trend continued with the game/20 day, as the matches went back and forth. Time trouble loomed in many games and some players learned the hard way the hardships of this time control without delay or increment. Let’s take a look at today’s action, match by match! 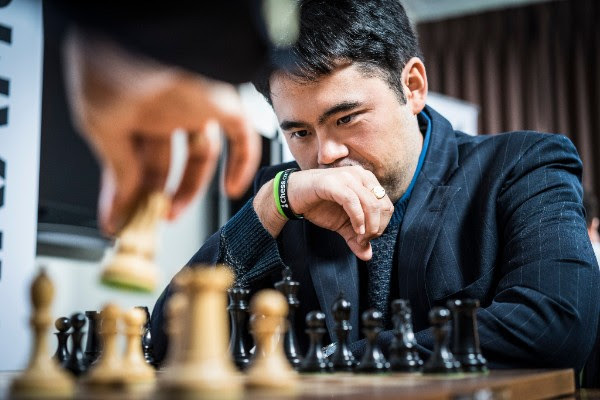 Nakamura mentioned during his interviews that he specifically chose Topalov to practice his more aggressive playing style against an opponent who never shies away from a fight. Today was certainly a vivid affair, with Nakamura essaying the Sicilian repeatedly. That being said, it truly was a day full of opportunities for Topalov, opportunities that he did not take advantage of. He had, throughout the day, winning attacks or chances to push in endgames, but he failed to convert them. Nakamura won the first game of the day and, strangely enough, was the only one that was decisive. Topalov’s biggest miss was certainly in the third game (a game that he would normally have won blindfolded) though losing when he was up a piece for basically nothing in the last game was also remarkable. Nakamura is up 13. These players keep fighting back and forth! The match is extremely tight and, after two days, Grischuk only has a minimal advantage. 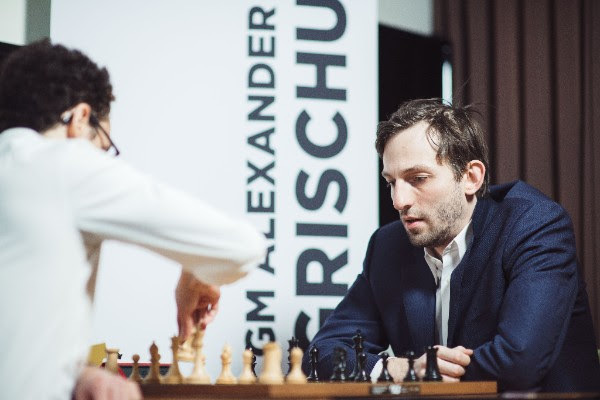 The first win came from a Berlin in which the American had nice pressure all over the board thanks to his preparation; Grischuk was unable to equalize and found himself in deeper and deeper trouble. The Russian struck back in game five, interestingly in the same line of the Berlin that gave Grischuk a win yesterday! Caruana has said it’s possibly time to retire this line. The last game was absolutely chaotic, and Caruana simply overlooked that his queen was hanging! What an oversight for a player of this calibre. This gives Grischuk an advantage by 4. The match that was by far the most solid yesterday turned on its head, as it became a frantic battle in the second day. 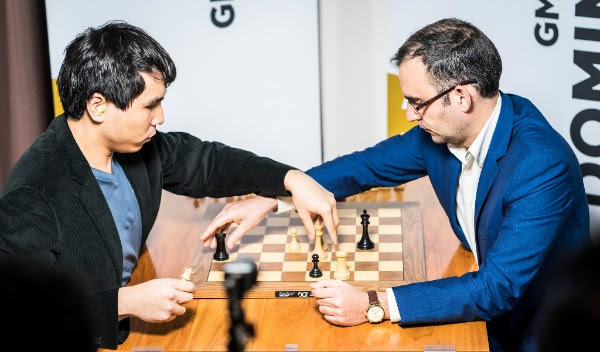 Dominguez established early superiority, winning game two against the French and then striking again with the black pieces in the Berlin in game three. Wesley finally took matters in his own hands right after that, essaying the Petroff but playing it for a win! Nice technique allowed him to convert. The most controversial game of the day was certainly the fifth. So was up a pawn - but more importantly he had seven seconds against Dominguez’s five! In the time scramble, the American hesitated, pieces started to fly, rooks controlled what seemed to be four squares at a time, but So’s flag fell first and the game went to the Cuban. This heavily increases the lead for Dominguez, who is now up 13 points.